In March 2019, Google News Labs announced updates to its Data GIF Maker website. Data GIF Maker is an easy-to-use resource for making animated GIFs from small sets of data. 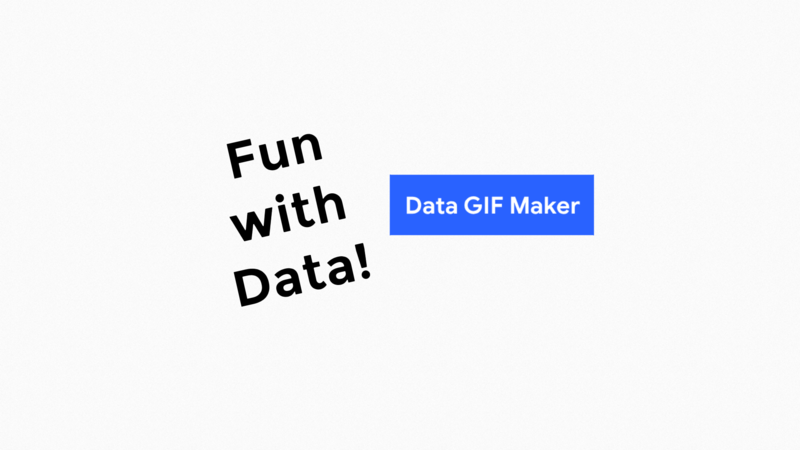 Data GIF Maker has three tools: rectangles, circles, and a racetrack tool. Users can enter 2 or 3 data points into the rectangles tool. Circles and the racetrack tool can include up to 4 data points. The tool is perfect for depicting Electoral College results because it is exceedingly rare to find a presidential election in which more than 4 candidates received Electoral College votes. Data GIF Maker will be great for the 2020 presidential election if the large Democratic primary field narrows to 2 candidates as it did in 2016. Which of these tools is best for data with big differences? Which of these tools is best for data sets where the numbers are close? The circles tool is the best for data with big differences. The racetrack tool is the best for data sets with close numbers. Made with Data GIF Maker circles. Made with Data GIF Maker racetrack. Made with Data GIF Maker rectangles. Overall, I am very happy with Data GIF Maker for illustrating small sets of data. There are some changes I would like to see that would make it even better. Try another tool? Lose your data. The data goes away. I hope in the future the data will stay and there will be a way to use the same data set with all three tools without re-entering it. Commas – Data GIF Maker does not allow commas in numbers. What is easier to read, “Bernie Sanders received 151,584 votes in New Hampshire” or “Bernie Sanders received 151584 votes in New Hampshire”? The 2016 New Hampshire Democratic Primary as illustrated by Data GIF Maker rectangles. Again, the size of the rectangles does not tell the story because they are almost even. More concerning is the yellow color barely contrasting with the white text on it. The yellow has just a 1.39 contrast ratio with white. Hopefully, the yellow will be darkened or the font will be changed to black. To conclude, Data GIF Maker is a great tool for telling stories with small sets of data. If you have any questions or thoughts to share about Data GIF Maker, please comment below or tweet me, @TomEMullaney. Thanks for reading.